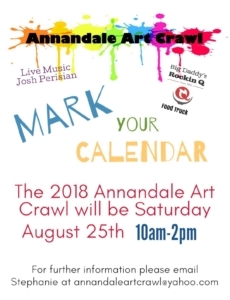 The Annandale Area Chamber of Commerce Downtown Art Crawl will be held Saturday, August 25th from 10:00 AM – 2:00 PM. This fantastic event will feature local artists displaying and selling their wares. Josh Perisian will provide live music and Big Daddy’s Rockin Q food truck will be on site. 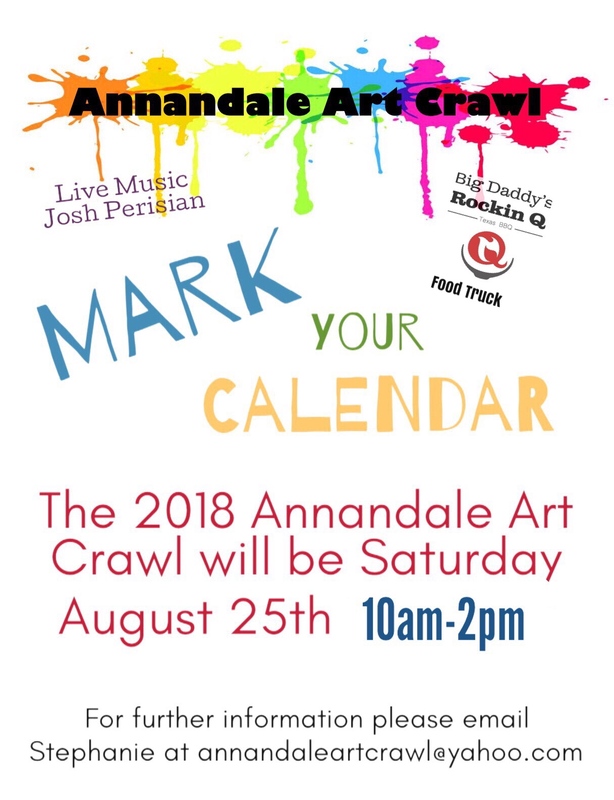 Our downtown streets will be filled with art displays, live demonstrations and live music – you won’t want to miss this. Check out our Facebook page for updated information as the event draws near!